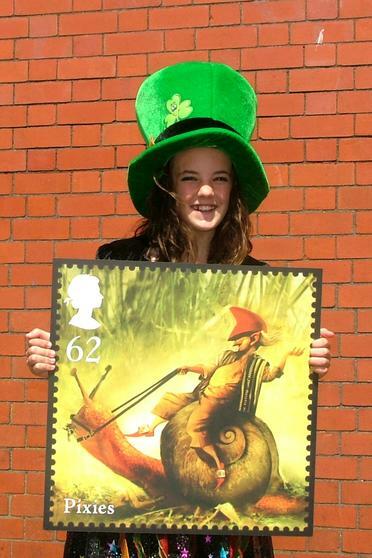 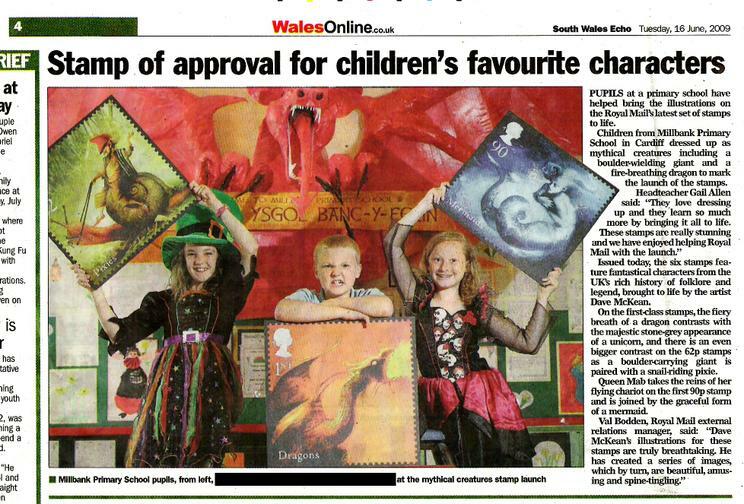 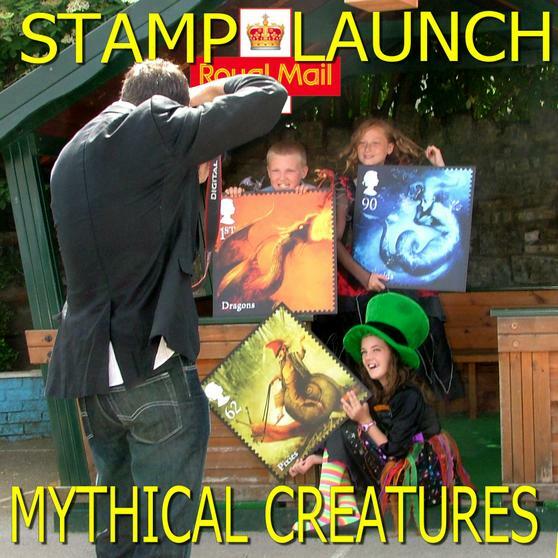 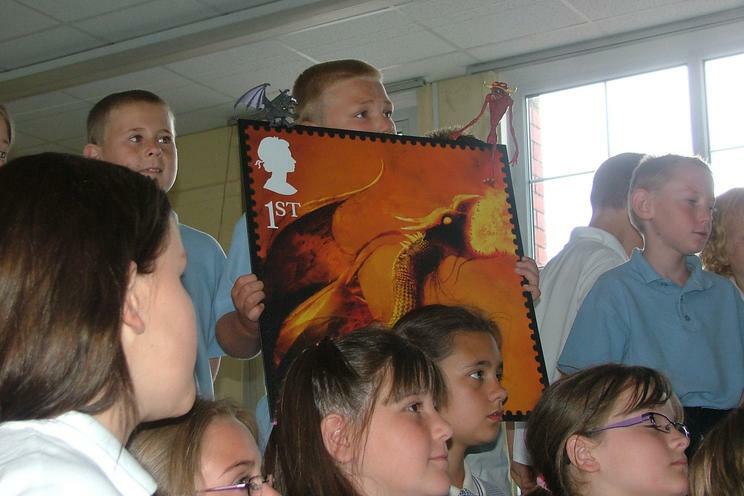 On Monday 15th June we were lucky enough to help launch the new range of stamps. 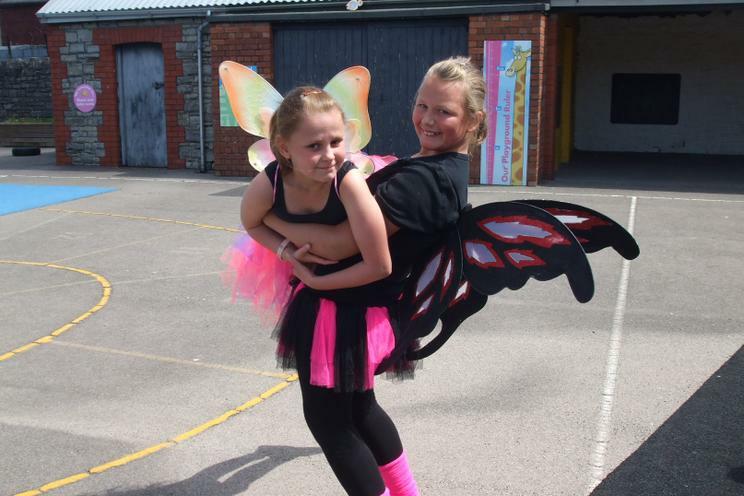 These were the 'Mythical Creatures' range and were ideal to inspire Dosbarth Laura Ashley/class 4 to write their plays which they will perform as Shadow Puppets. 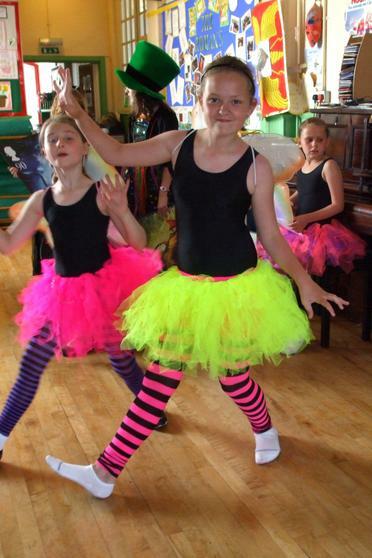 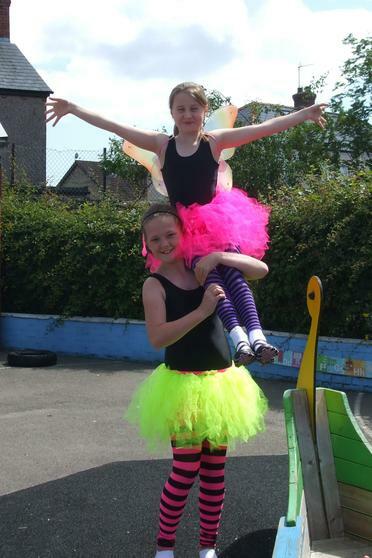 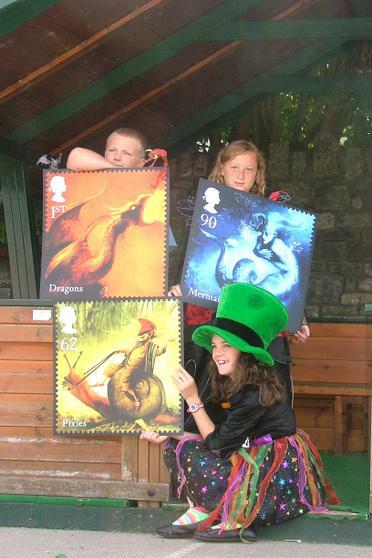 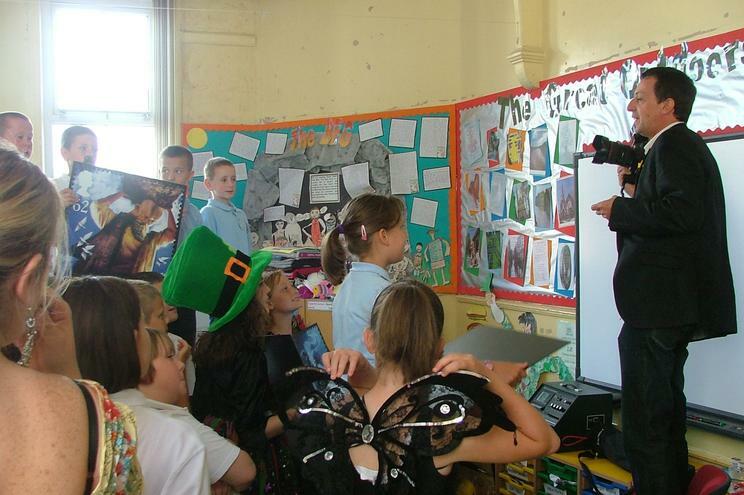 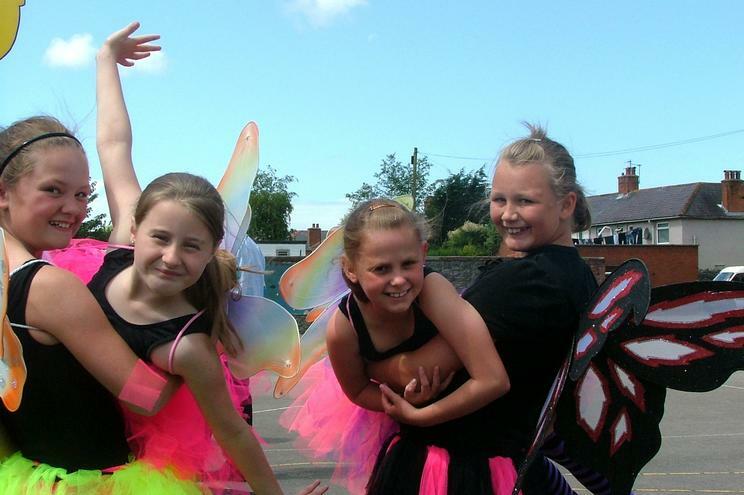 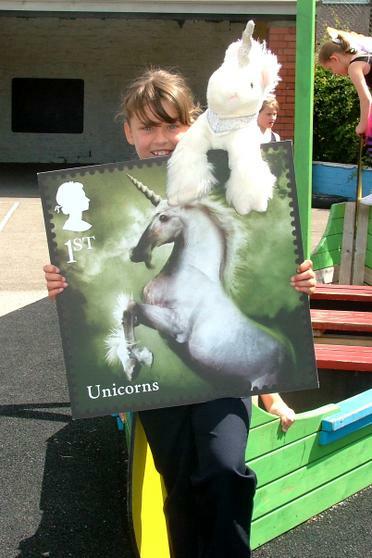 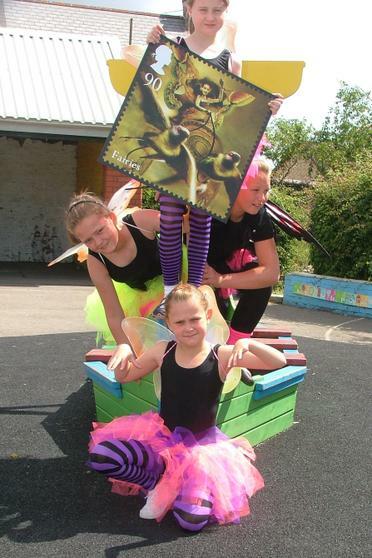 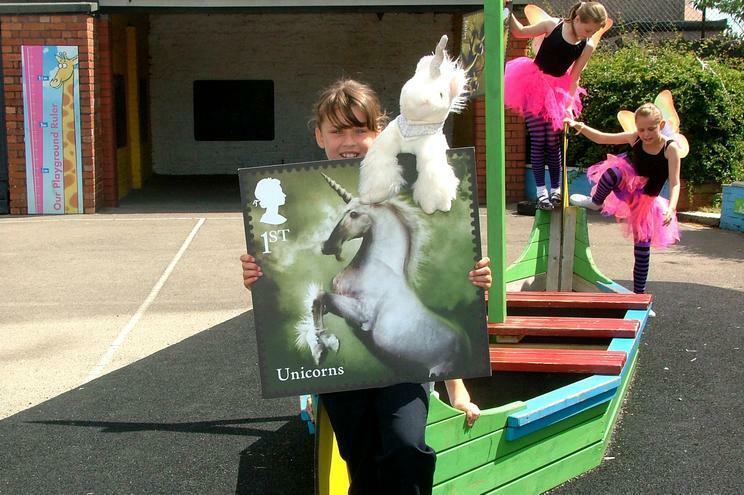 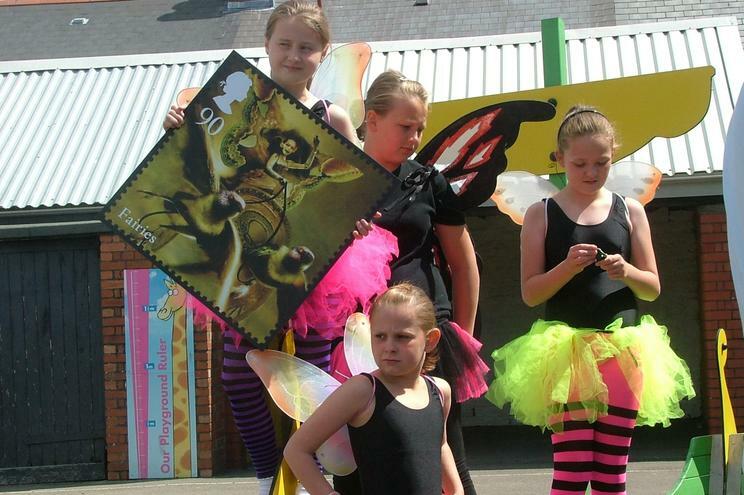 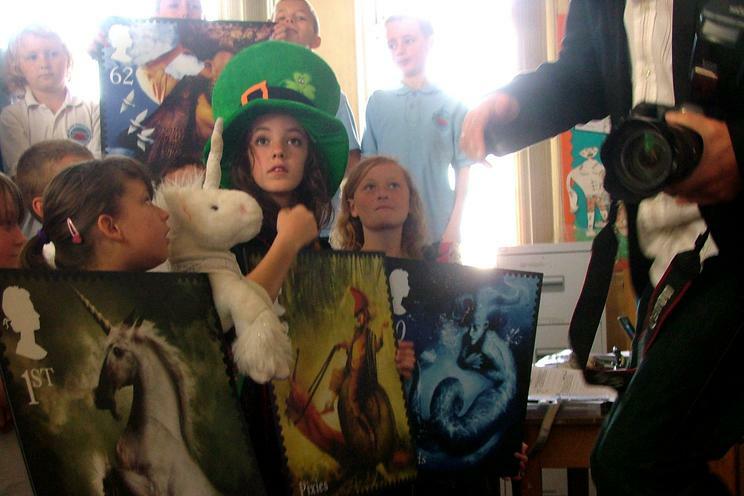 Mrs Brown said that the colourful stamps would help inspire the children and they had dressed up especially as fairies, leprechauns and brought in unicorns. 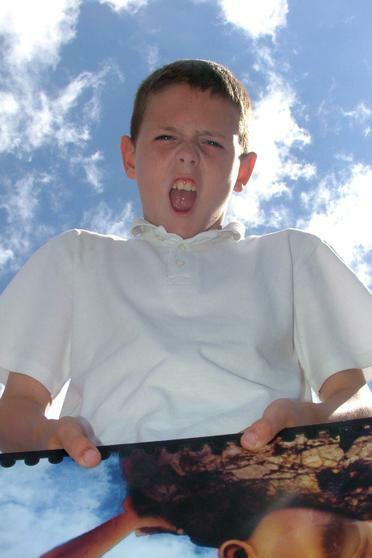 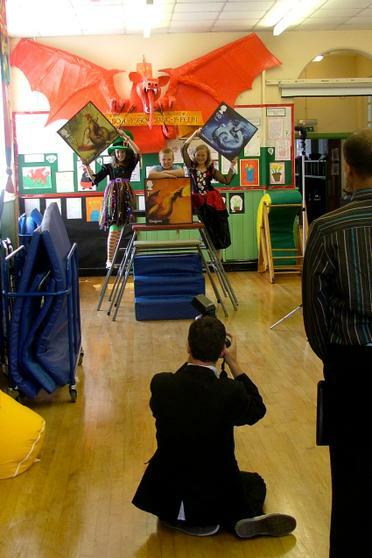 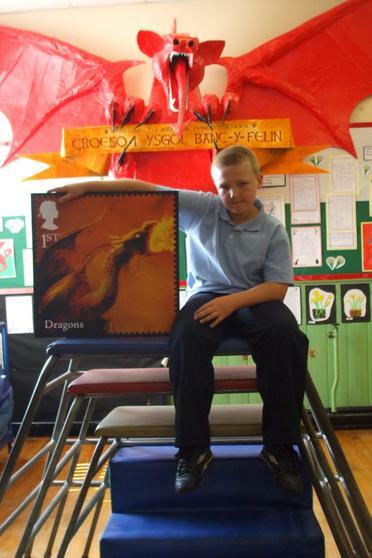 The Royal Mail came along with professional photographer Nick who had the task of arranging the children and the stamps to get a really interesting photo that could get in the local newspaper. 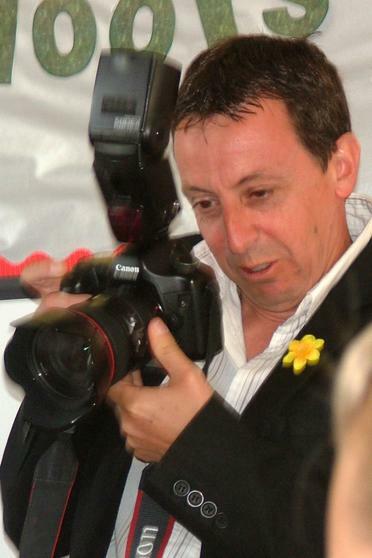 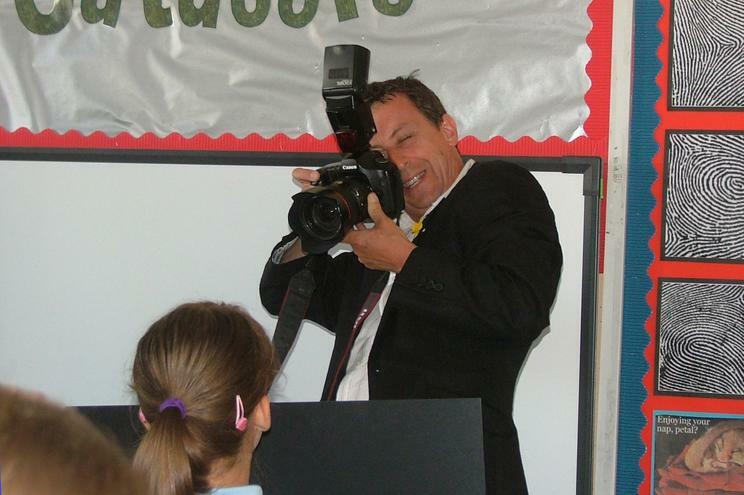 We had our own photographer Molly who took all our photographs to record the event for us, and try and pinch some of Nick's creative idea's. 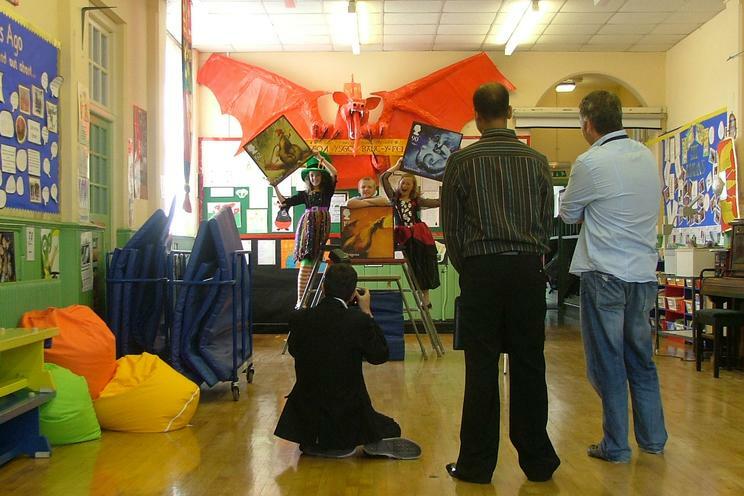 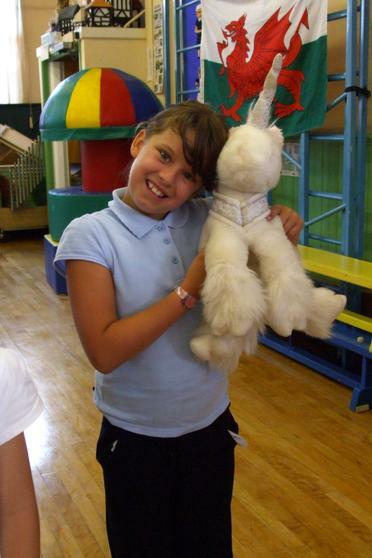 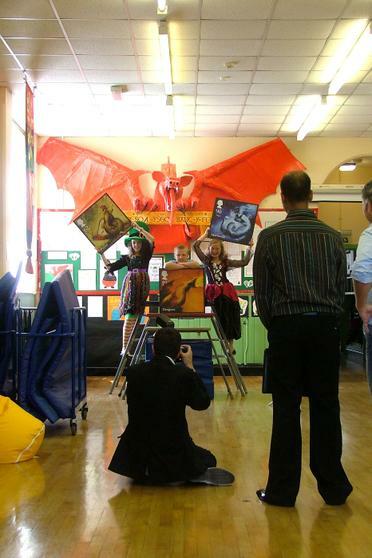 Nick took three series one was with the whole class, one was outside in the bright sunshine and the third was under the wings of our own dragon Dewi in the Hall. 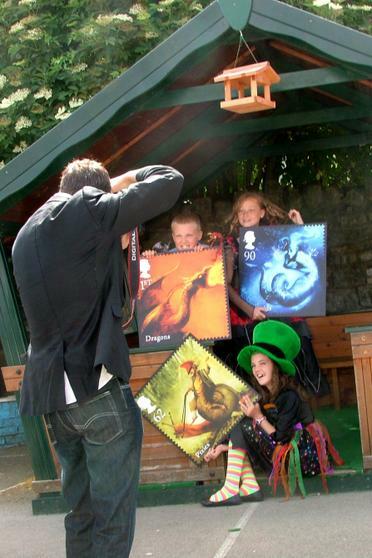 It was very interesting to see how the photographer used his skills with lighting and arranging the children and props to get a really interesting shot.